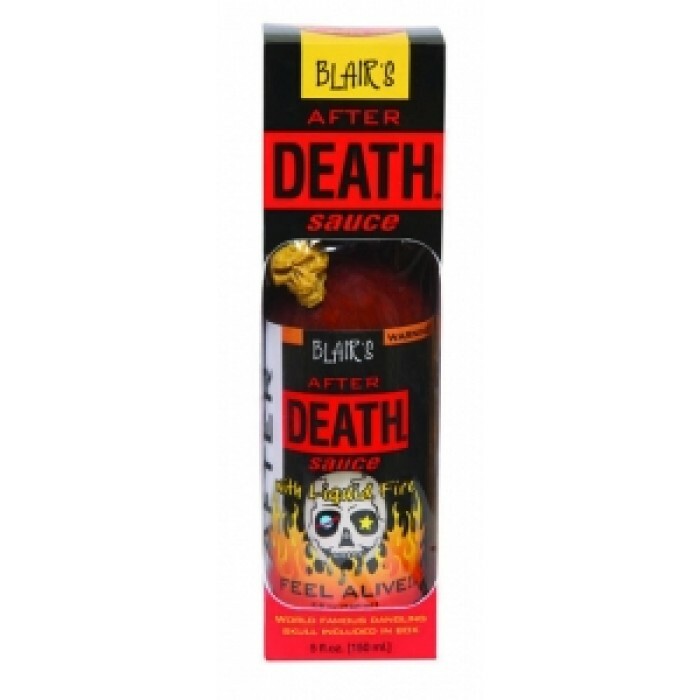 Blair Lazar created this deadly recipe which comes with a skull key chain as a souvenir of your near death experience! Dr. Hotz Says Ok, this is where we get serious. While bartending in the early 90's, Blair created a sauce that was sure to get the patrons out at closing time. 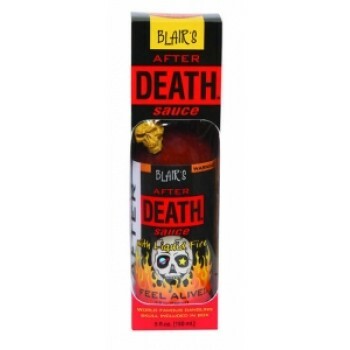 It worked, and After Death is that sauce. Ingredients Red & orange habaneros, vinegar, fresh cayenne, smashed garlic, chipotle chile, pepper extract, lime juice, cilantro, fresh herbs and spices.